I actually enjoy going to baby showers. Is that weird? Lots of people complain about being invited to baby showers, but I’ve always enjoyed them! I like seeing the glowing mom-to-be and admiring all the adorable baby gifts. I even like the cheesy games. But my favorite part is selecting my gift for baby! 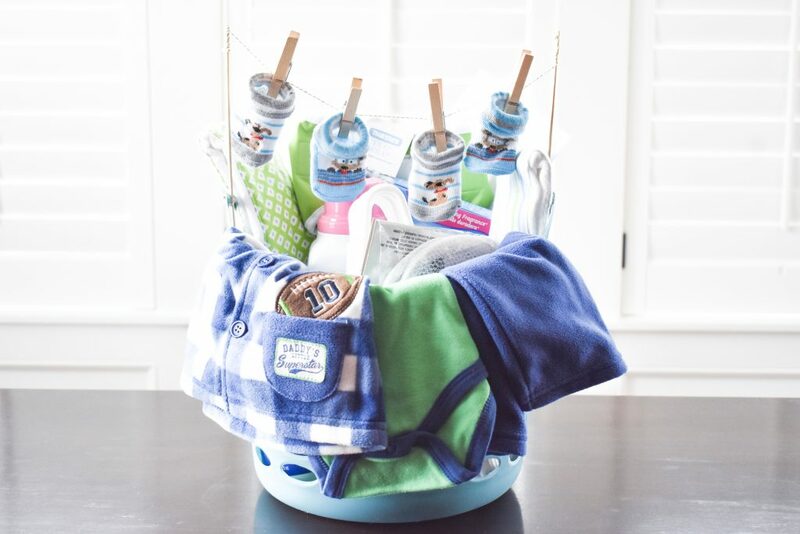 One of my favorite baby shower gift ideas is this baby shower gift basket with a laundry theme that I recently put together for a very sweet couple expecting their first child. Baby Laundry Detergent: I looooove the way baby detergent smells! I want to use it on all my family’s clothes. Baby Laundry Stain Remover: Honestly, I didn’t even know baby stain remover was a thing until I was shopping for this gift basket! But I had to grab some because babies = stains. Lots and lots of stains. Bleach: See above re: stains. Fabric Softener: I couldn’t resist the sweet mom and baby on this package! Dryer Sheets: Can’t do laundry without dryer sheets! OK, I actually know some people who do, but I don’t understand how their clothes don’t stick to them all the time. I can always tell if I forgot to put in the dryer sheet! Laundry Delicates Bag: These are a must-have for washing and drying tiny baby socks. Nursery Hangers: Something to hang all of baby’s laundry on! 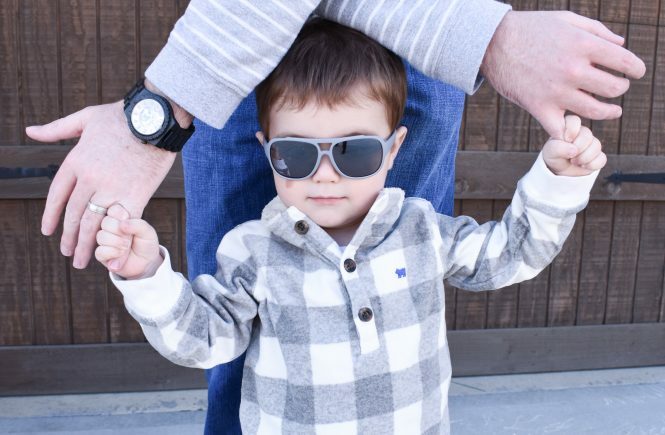 Baby Outfit: Since this was a couples shower, I selected this “Daddy’s Little Superstar” outfit so Dad wouldn’t feel left out. Cloth Diaper: The couple had registered for cloth diapers, so I figured I could help start their stash. Burp Cloths: You know these will be in the laundry quite often during those newborn days! Make your own using these cloth diaper inserts and sewing on some cute fabric! Baby Socks: You can never have too many socks… especially when they have a tendency to get lost in the wash. I made the clothesline by attaching skewers to the basket with twine, then using clothespins to attach the little socks. The clothesline is my favorite part of the whole gift basket! I plan on making many more of these baby shower gift baskets in the future. 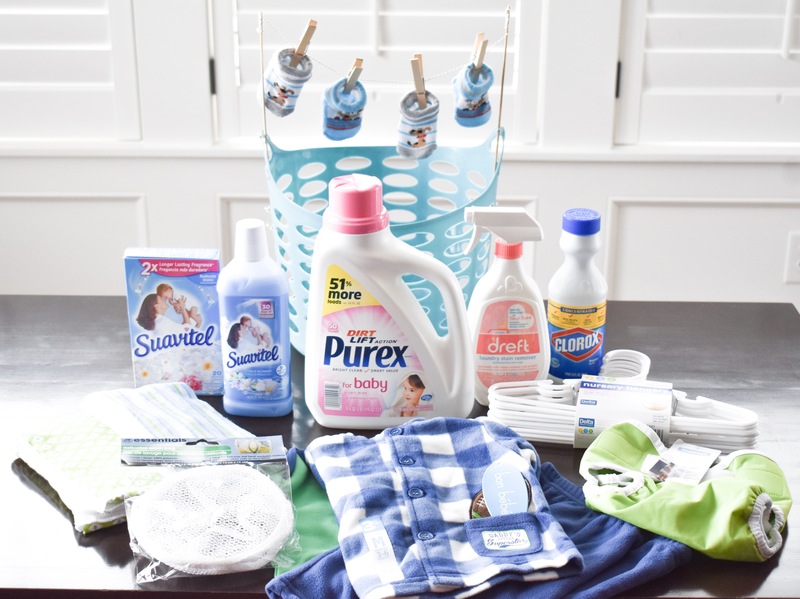 It’s such an easy gift to customize and every parent can use extra laundry supplies! I remember our washer running basically 24/7 after Colton was born. He was a reflux baby, so there was a lot of spit-up. On him, on us, on everything. I suppose I can end this post now that I’ve given you that visual. 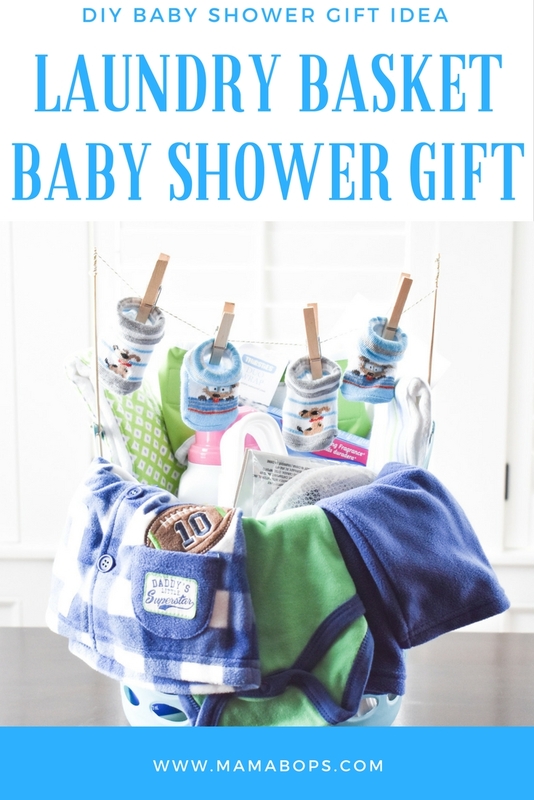 Pin these Baby Shower Gift Ideas for later! 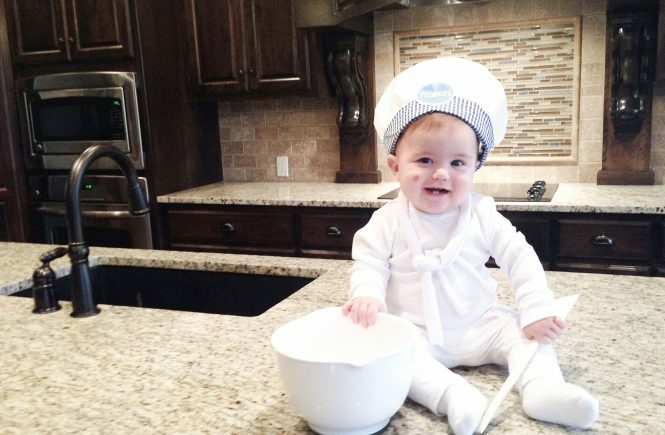 Want more baby content? See how we announced our 2nd pregnancy, our gender reveal for a 2nd baby, how we personalized Baby’s nursery, and what the nursery looks like now! Diapers are always a welcome gift at showers! And I love the idea of letting the mom-to-be select her own outfit for the baby. A shopping trip is always fun! What a great idea! I love the laundry theme, complete with a laundry basket as the gift bag! Wow! This is such a beautiful and thoughtful gift. I love how easy it is to customize, too. We definitely use baby Oxyclean as a stain remover, and it has changed out lives. I didn’t know Oxyclean had a baby version! I’ll have to look for it. I’m sure we’ll have lots of stains to work on with Baby #2 on the way! Love this! 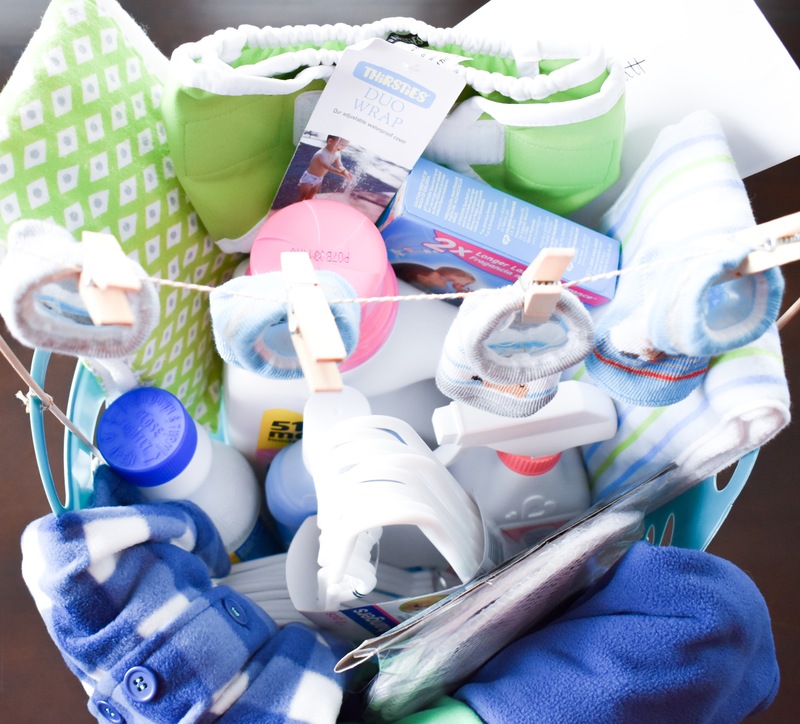 I never thought of giving laundry supplies, but that is a great idea, especially if they are cloth diapering. I run my washer every other day! It’s insane how much detergent you go through! I totally agree! I am constantly shocked how much laundry my family of 3 can make. Haha! Thank you, Katie! It’s so nice to be prepared with some essentials during those early newborn days! 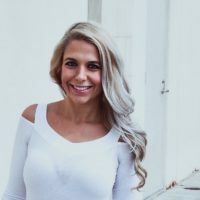 That is so sweet, Victoria! Thank you for pinning! OMG this gift basket is the CUTEST!! So creative but yet so simple to recreate at home. Thanks for the awesome idea! Thank you so much, Sharon! 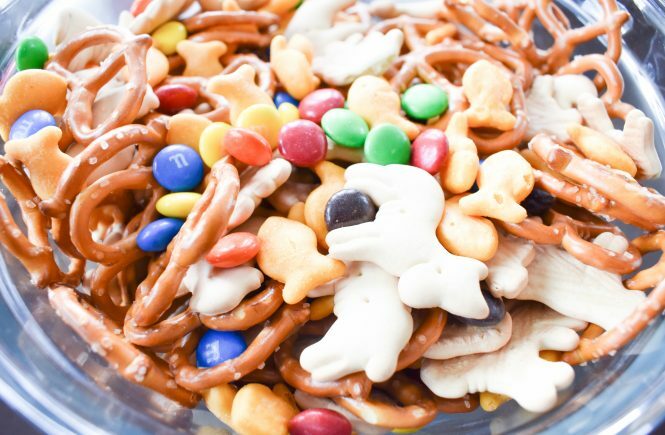 Hope you’re able to make one yourself soon! Thank you! It’s so nice to be prepared with some of the essentials when Baby arrives! Thanks so much, Rachel! I love creating gift baskets! I agree, Jade! Always nice to have some of the essentials on hand, especially things that you might not think about stocking up on before it’s too late! Thanks, Lisa! I always look forward to your linkup!